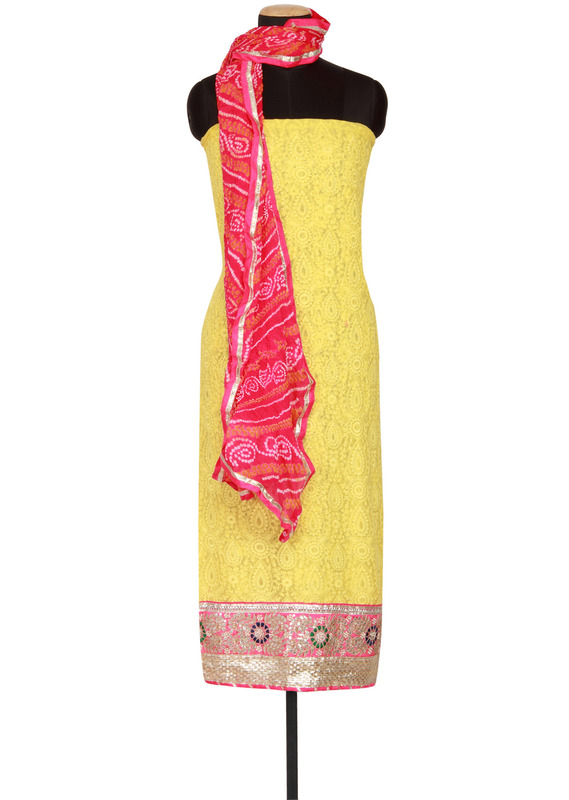 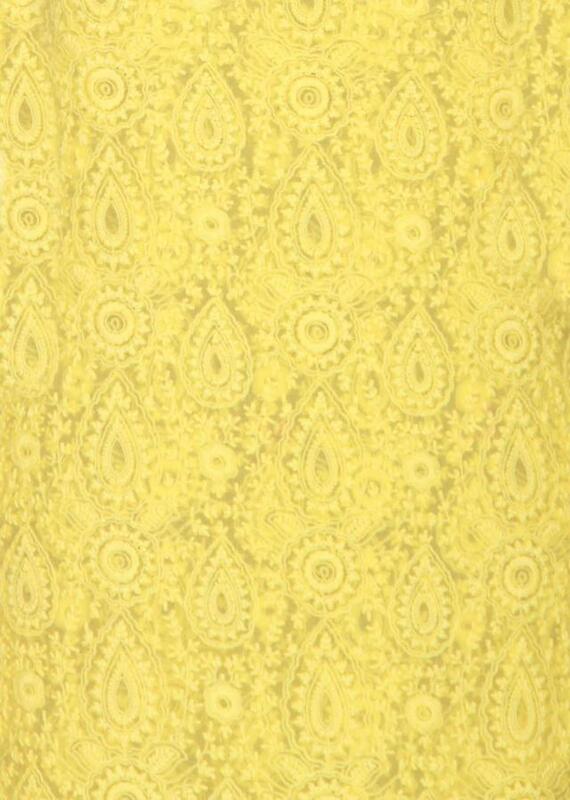 Featuring a yellow georgette un-stitched salwar-kameez embellishment in lucknowi embroidery all over. Border is in pink raw silk embellished in gotta patti and motti. 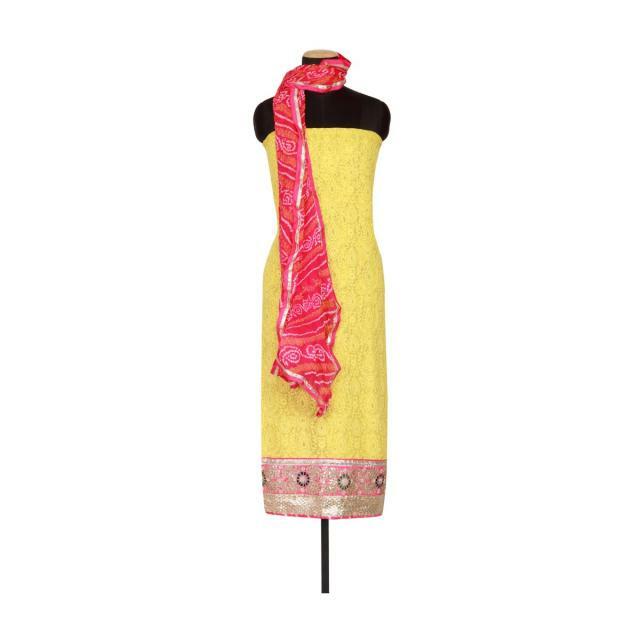 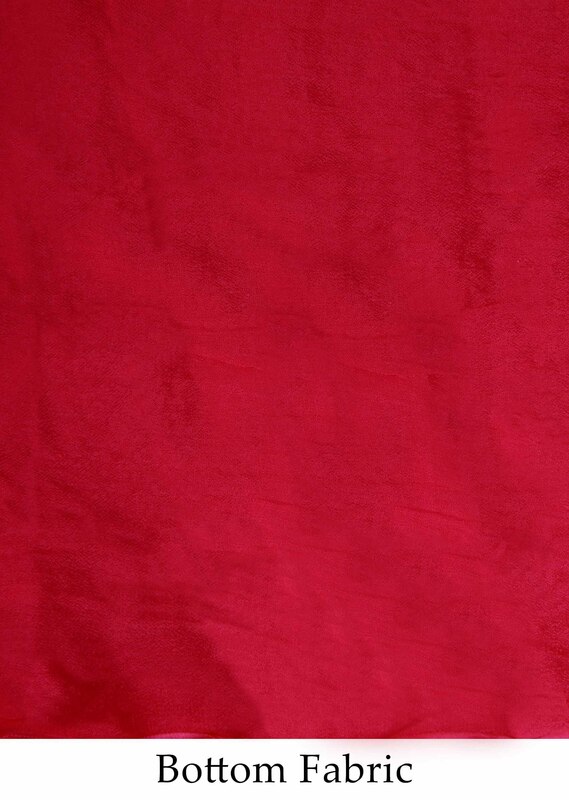 Dupatta is in bandhani fuschia.